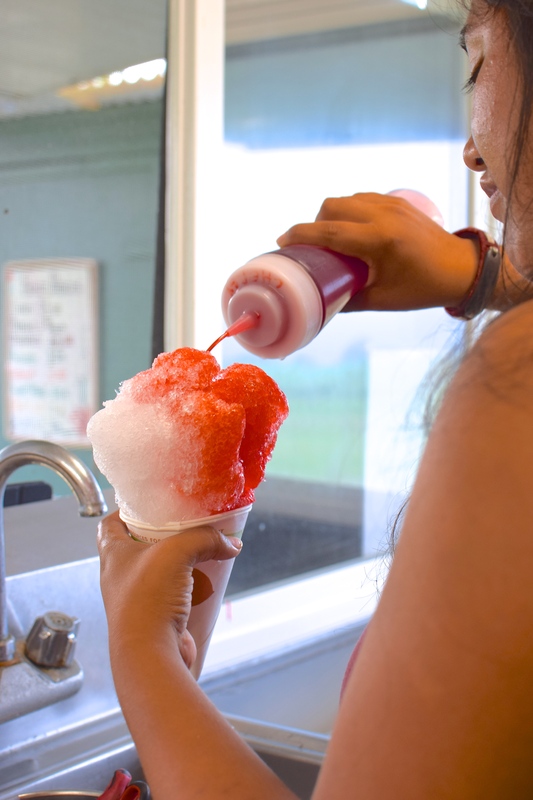 Although Hawaii is well known for lots of delicious foods, when I first arrived, shave ice was definitely at the top of my list. 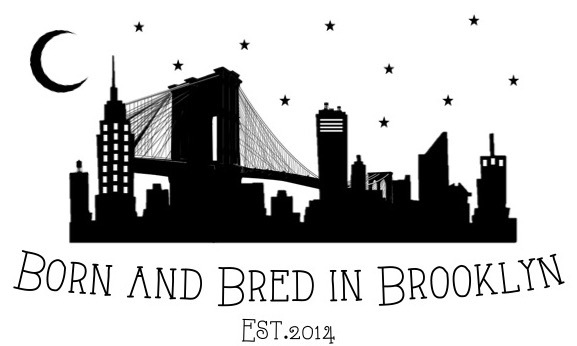 A quick Yelp search led me to a food trailer (not to be confused with truck) not too far from where I lived called Fresh Off the Grid, and both my stomach and my sweet tooth made it abundantly clear that I’d be making a stop there very soon. During my first attempt – after, I’ll admit, an overwhelming first few days here in Hawaii – I actually ended up driving about 25 minutes in the wrong direction due to an address mix up. When Google Maps told me that I’d arrived at my “destination”, and there was nothing but a bunch of rocks, I knew something wasn’t right and sadly made my way home. Nevertheless, I didn’t give up trying to find it, and I’m glad I didn’t, because Fresh Off the Grid is a gem. 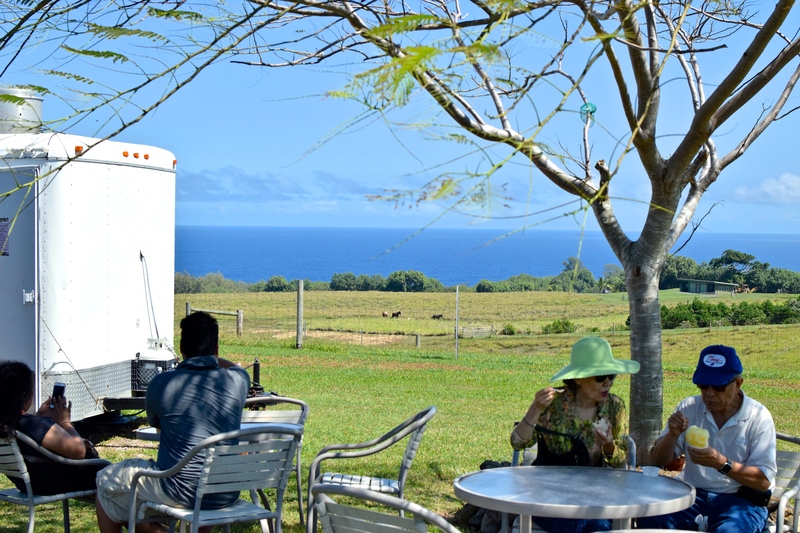 Owned and operated by Auntie Nani (auntie is a term of endearment for elders in Hawaii), its trailer is parked atop a grassy patch of land with some of the most breathtaking views you’ll ever see. There are rolling hills with grazing cows and horses dotting the landscape and the Pacific Ocean stands out starkly in the distance. 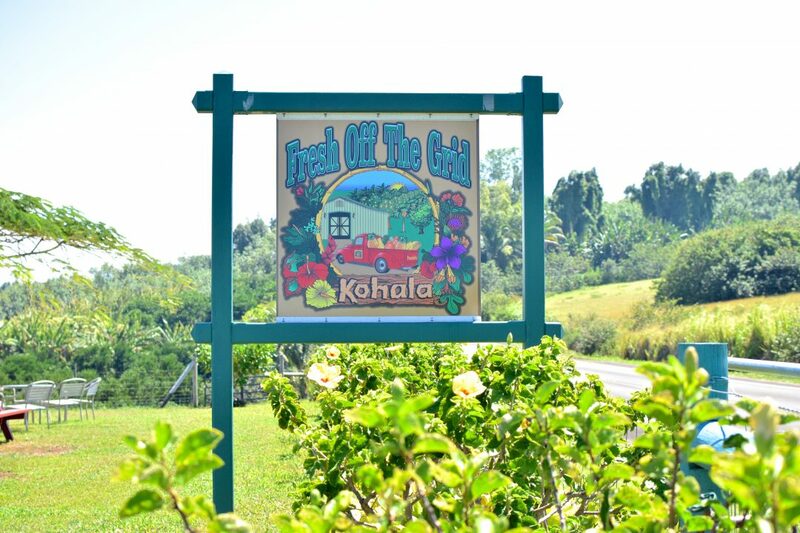 From the views to the food and even to the relaxing Hawaiian music playing over the speakers, visiting Fresh Off the Grid is a feast for the eyes, ears, and taste buds! 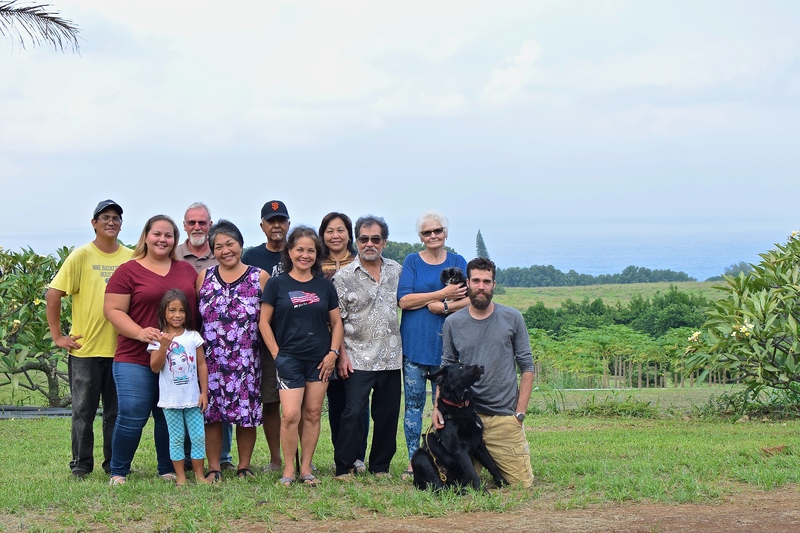 I recently got the chance to speak with Auntie Nani, and although she was in the middle of a family gathering, she was still kind enough to not only share her beautiful home and delicious food, but also her time, which I was most appreciative of. Auntie Nani (in front with the purple, floral dress) with her beautiful family! 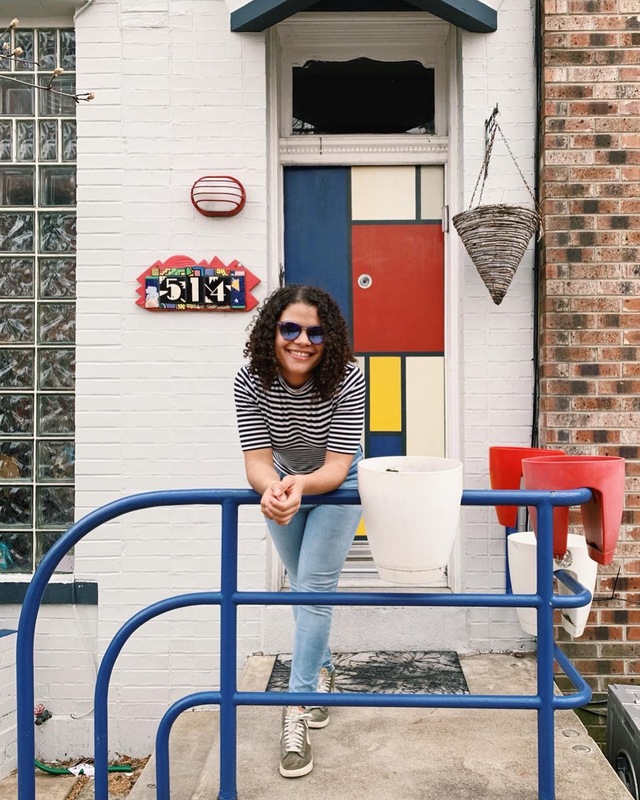 Thus the seed was planted, and eventually, when their daughter Puna was seeking a career change, they suggested she take on this venture and Fresh Off the Grid was born! Their decision to make it a food trailer instead of truck was one made out of convenience, “If your truck breaks down, you’re stuck, so we got the trailer so that we can move it any time, with anybody’s truck, as long as it’s strong enough to pull it.” And its name was thought up by Auntie Nani’s sister during a New Year’s celebration, further solidifying its familial ties. 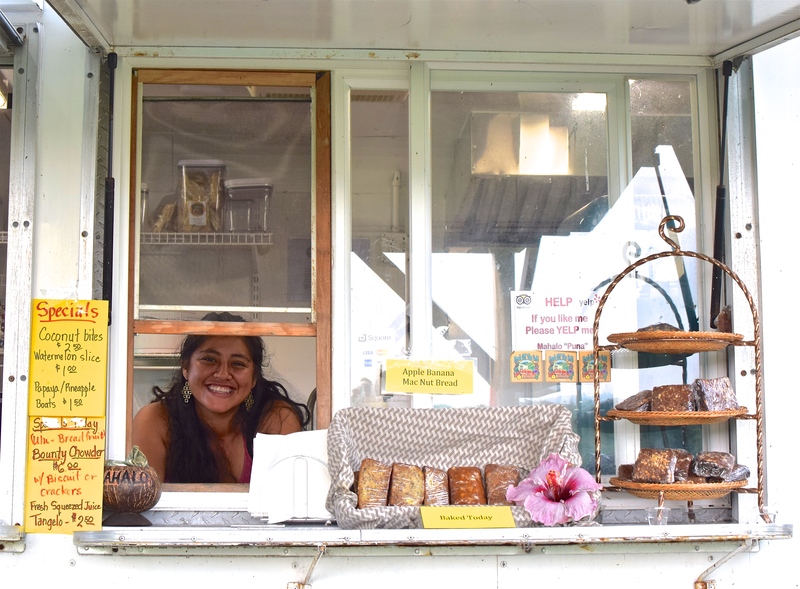 Open every day except Wednesday, Fresh Off the Grid awaits you before or after a long day of hiking, camping, or swimming in the beaches of Pololū Valley. 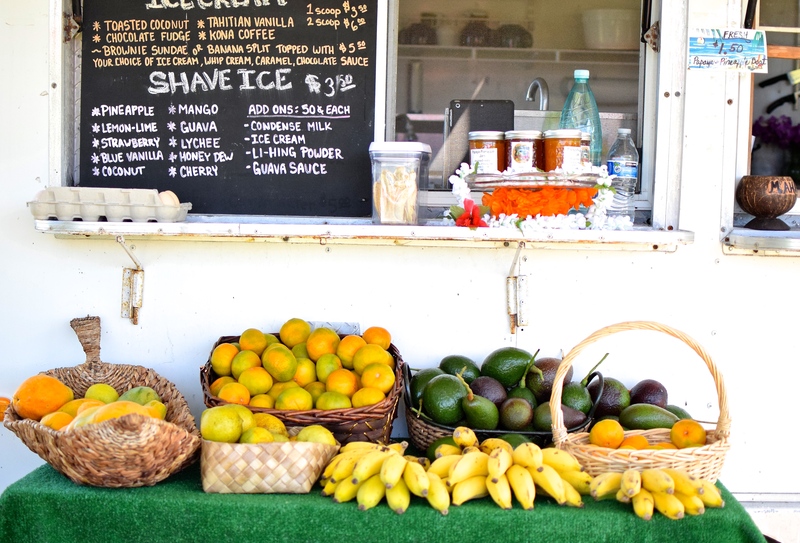 Their best-selling “Home Grown” Smoothie filled with papaya, lime, banana, and pineapple, is made with fruit all grown on Aunty Nani’s land (hence the name), and most of the other items, including the banana bread, the red hibiscus tea, and the ulu (aka breadfruit) chowder, also follow suit. 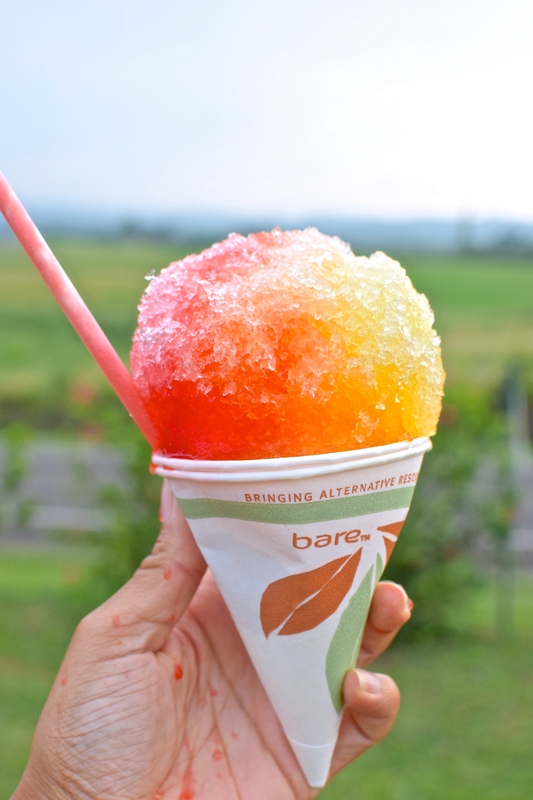 Of course you can’t forget about the refreshing mounds of shave ice overflowing with sticky, sweet syrup (I know I didn’t). 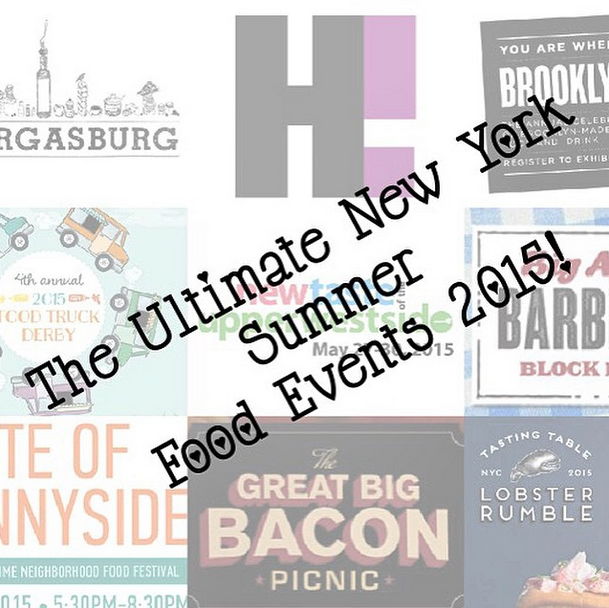 When I also asked whether another food trailer was in the future, I was met with a, “No! I’m old!” but she did end on a positive note by saying, “We’re just trying to be the best that we can be.” And is there anything more that you can ask? 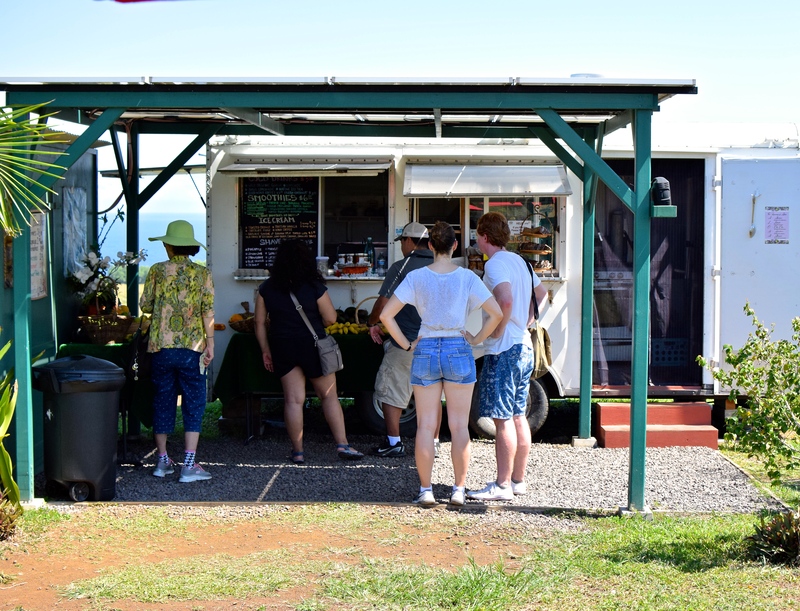 Fresh Off the Grid is located at 4700 Akoni Pule Hwy, Kapaau, HI 96755 and open every day (expect Wednesday) from 12pm – 5pm.